The King's Church, Wisbech: Book Your Place for 'Word on the Wash'! Book Your Place for 'Word on the Wash'! We would be delighted if you would take a look at the Word on the Wash webpage - http://www.tsc-church.org.uk/wordonthewash/ - to see all the latest details about the programme, speakers, seminars and practical arrangements for Word on the Wash 2016. 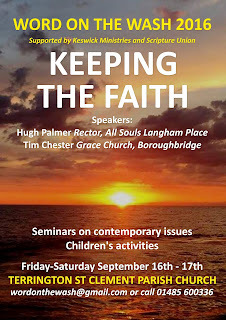 We look forward to welcoming Hugh Palmer and Tim Chester as our main speakers. 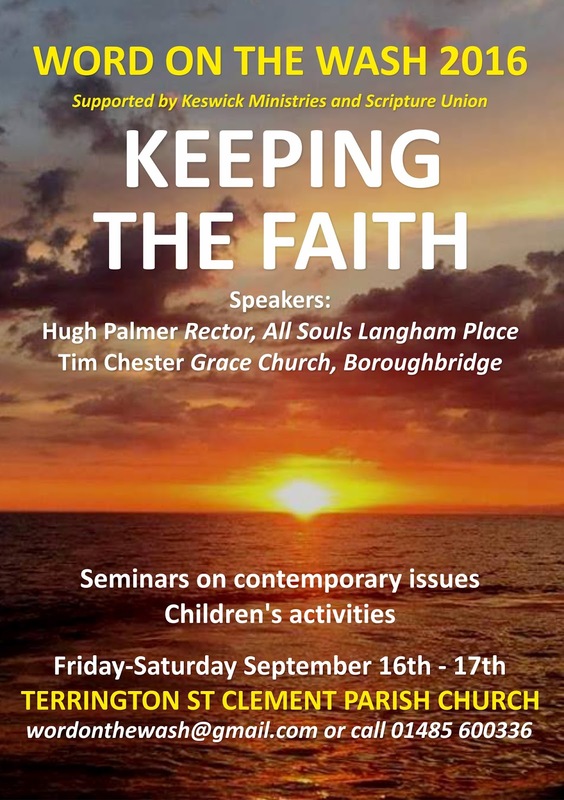 Hugh will be teaching us from the book of 2 Timothy and Tim Chester will be unpacking Galatians chapter 2 for us under the title ' Rediscovering Reformation Joy'. There will be a full programme for children aged 5-15 (including creche facilities for 0-5's with an audio link to the main hall) throughout Saturday 17th September - so please bring the whole family and make a day of it! There will be four interactive seminars to choose from this year covering a wide range of topical issues - do please click on the 'Seminars' button on the webpage to browse the topics. If you would like to support the event in prayer you would be most welcome to join us at our monthly prayer meetings at the St John's Centre, Kings Lynn, 4pm on Sunday's 19th June, 17th July and 21st August. We look forward to receiving your booking online soon - or see you in September! Don't Miss Salt of the Sound at After Hours! Messy Fun at Messy Church!